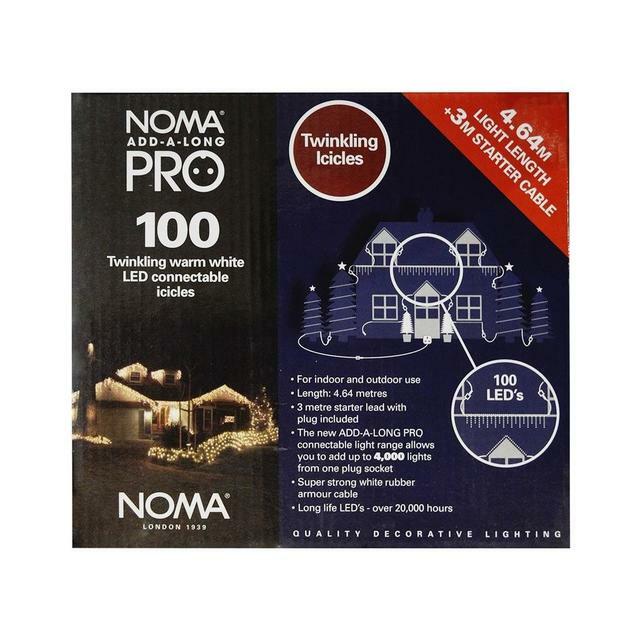 Easy way to deck the house and garden with connectable LED lights from one power source - the lights are suitable for the smallest igloo through to a large manor house! 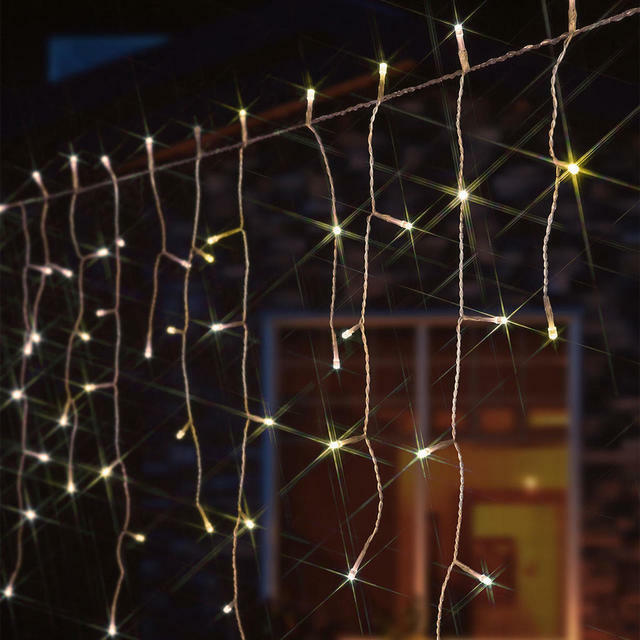 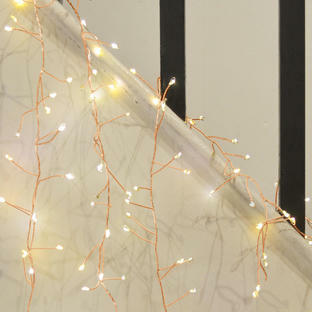 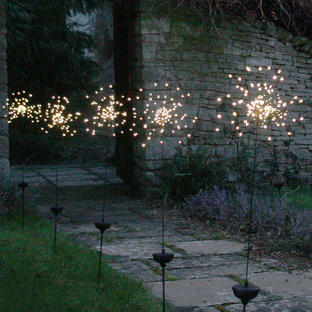 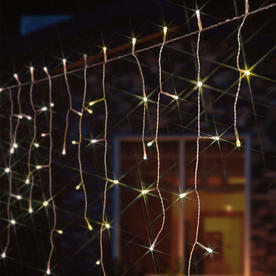 Create a magical effect for your home with these twinkling* lights that you can connect to many others and thus flexible for your needs. 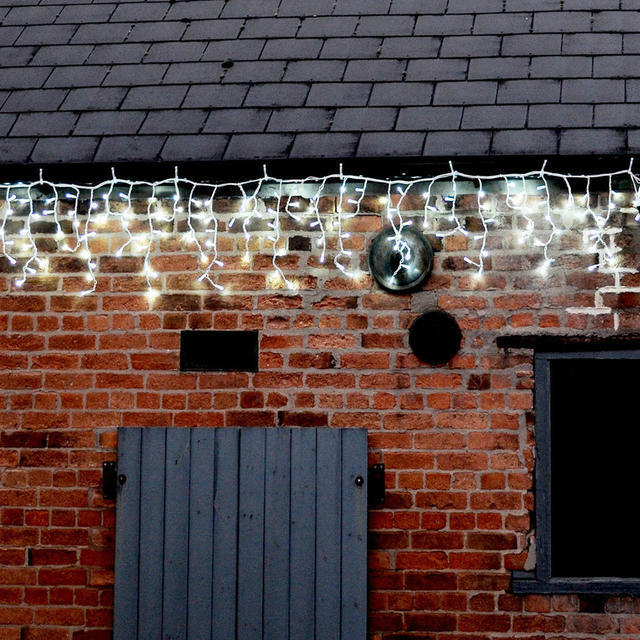 The lights are connectable, so you can run up to 4000 LED lights off one plug socket. 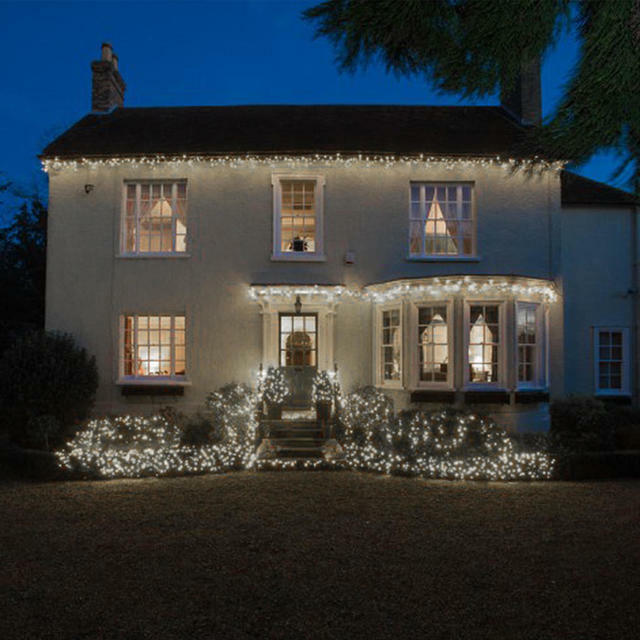 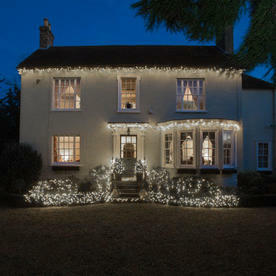 Use to run icicles under the eaves of your house, connecting to static lights running down the side of the house across to shrubs in the garden see here - the choice is yours! 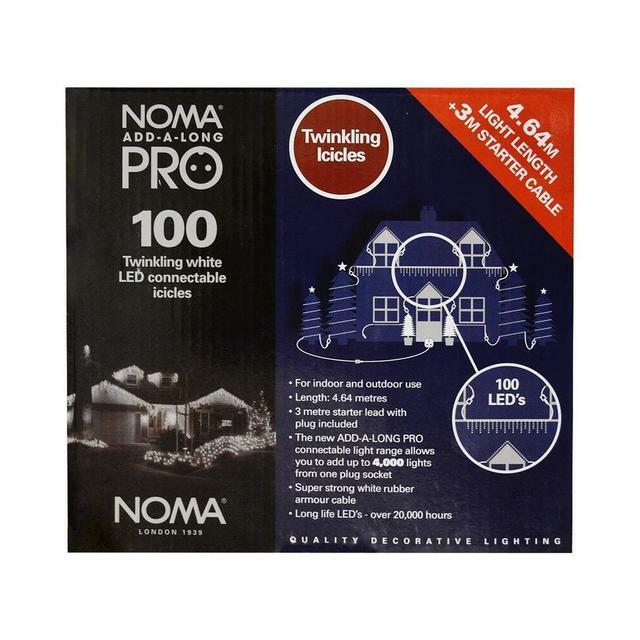 The cable is a strong white rubber armour cable and is suitable for domestic and commercial installations. 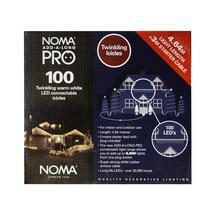 Needs to be plugged into an indoor mains supply, or a minimum IP66 rated outdoor socket. 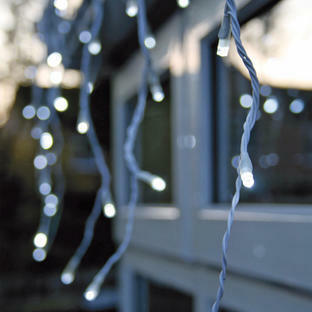 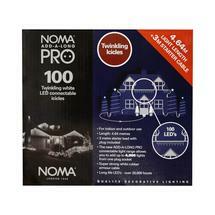 Tough connectable LED icicle lights suitable for indoor or outdoor. 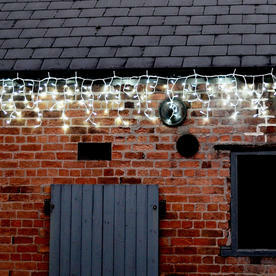 *Note that these lights 'twinkle' but that no other programmable effect is available.